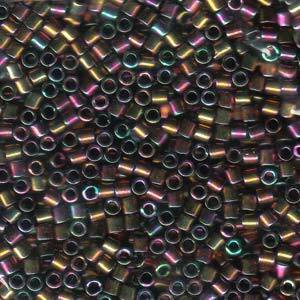 Enchanting Beads is now stocking size 8 Miyuki Delica Beads! These fabulous larger Delica’s work well with traditional beadwork but also on stringing materials 1.4mm or smaller. This means you can string them right onto cording for quick to make designs too. For more news about new items, including size 15/0 Miyuki seed beads and bulk packs of Miyuki seed beads, visit the What’s New page on the Enchanting Beads website.